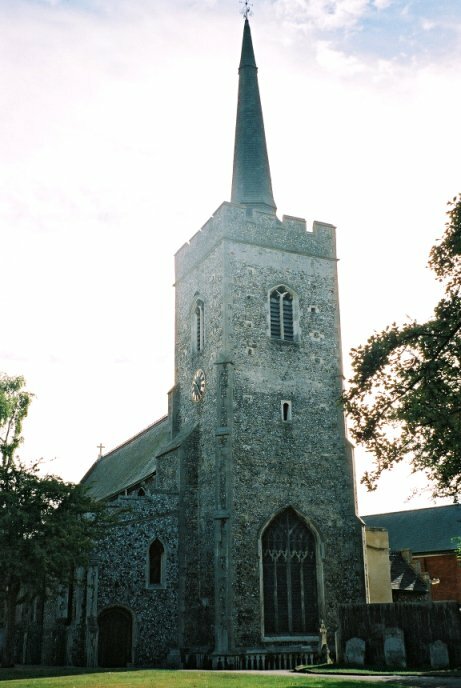 Historically, Newmarket had two town centre churches; but All Saints was in Cambridgeshire, so St Mary came to be regarded as the parish church. I say came to be so, because originally it was merely a chapel of ease to the mother church at Exning. Exning is now the bit of Newmarket where most of the people live, but historically it was an ancient parish. At some point in the 12th or 13th century, the people realised that they would do rather better in business if they sold their goods up on the main Cambridge to Bury road rather than waiting for people to come out to them. So, they headed a couple of miles south, and set up their new market. And Newmarket it became, swallowing the smaller parent parish. With that splendid irony that history so often throws up, the Newmarket bypass now carries the thunderous A14 traffic right by the ancient Exning parish church. St Mary sits directly across the high street from All Saints, each hidden from the other by the clustering shops that surround them. St Marys has the feel of the more established church, not simply because this is the side of the high street that has the market place, but because it is less restored than All Saints or St Agnes. Thats not saying much; anywhere else in East Anglia St Mary would appear almost entirely Victorian. 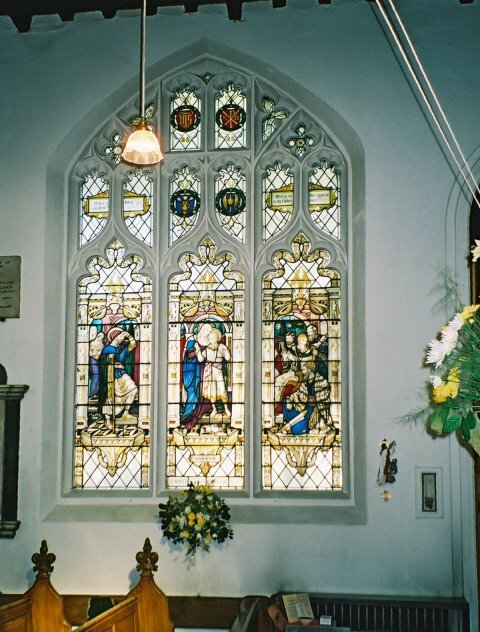 But All Saints and St Agnes are entirely Victorian. The wide graveyard has been cleared of headstones, I am afraid, to make a rather scrubby and unattractive park. A row of 18th century headstones survive against a wall to the west of the church. The church is a big one, with two grand aisles and a clerestory, and a spire that reminds us how close we are to Cambridgeshire. 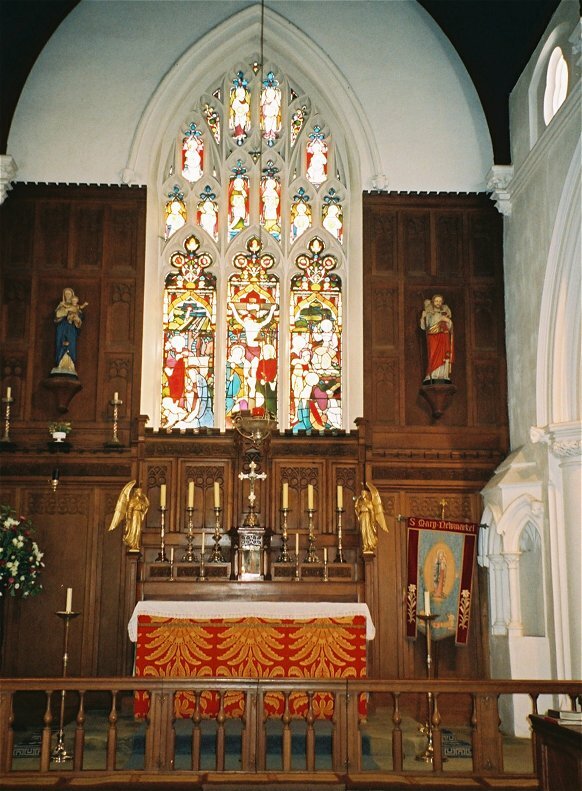 Somewhat relieved to at last find an open church in Newmarket, I stepped into an interior which is almost all a product of three restorations in the second half of the 19th century. 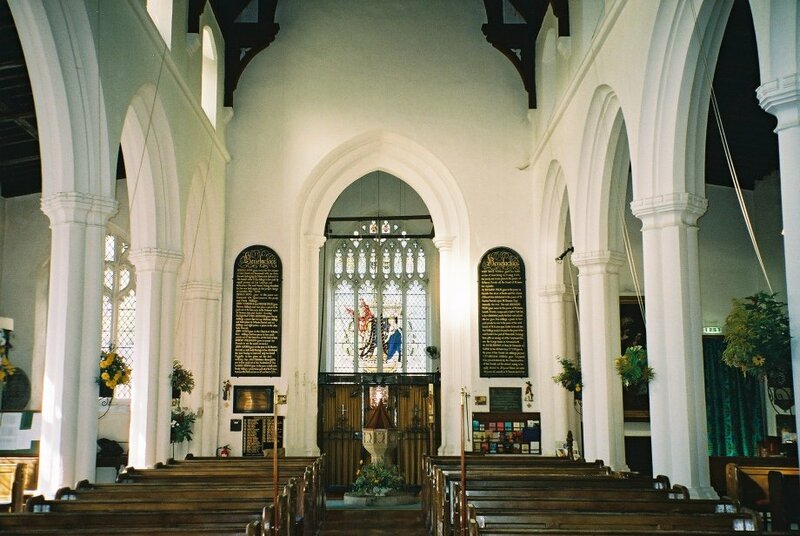 The south aisle you step into is 15th century, but the aisle opposite is Victorian. Apparently, there had been a north transept. 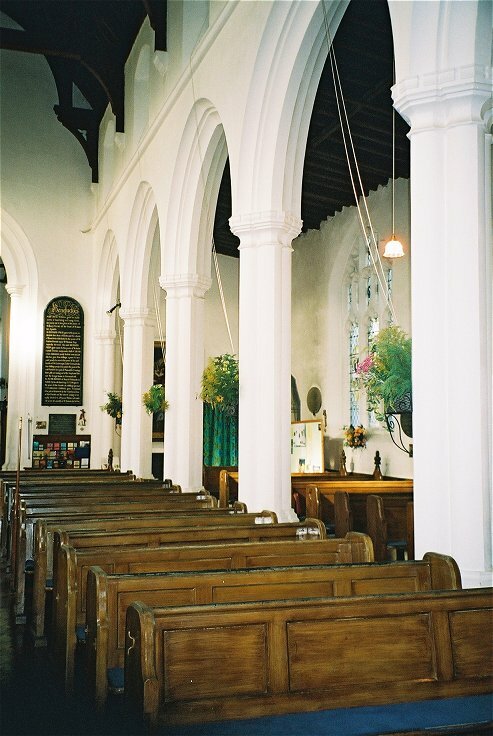 Despite the aisles, the nave appears tall, the arcades elegant. 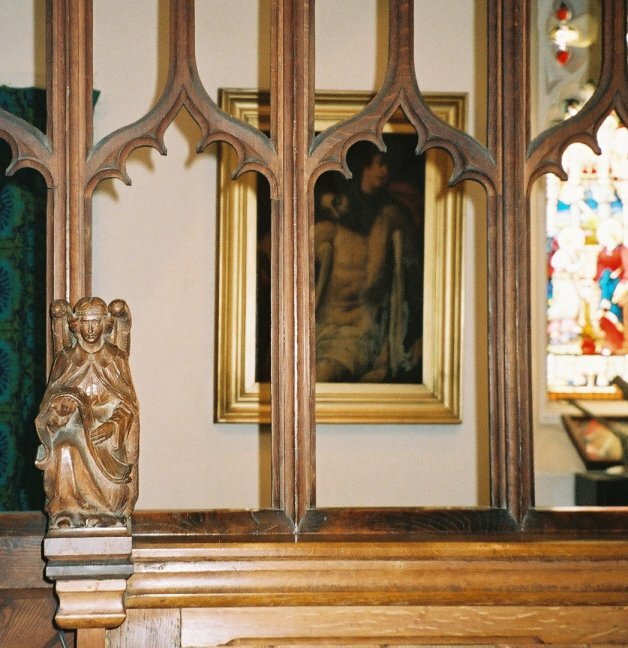 You head into Anglo-catholic darkness, for the 1880s chancel is very much in the ritualistic style. Indeed, I was surprised quite how ritualistic it still seemed to be. I asked the nice lady if St Mary was high church. Well, not as much as we used to be, she said. But we still have Benediction and incense. Believe me, that is high for Suffolk. What I at first took for decalogue boards turn out to be benefaction boards either side of the tower arch, which is a lovely touch. 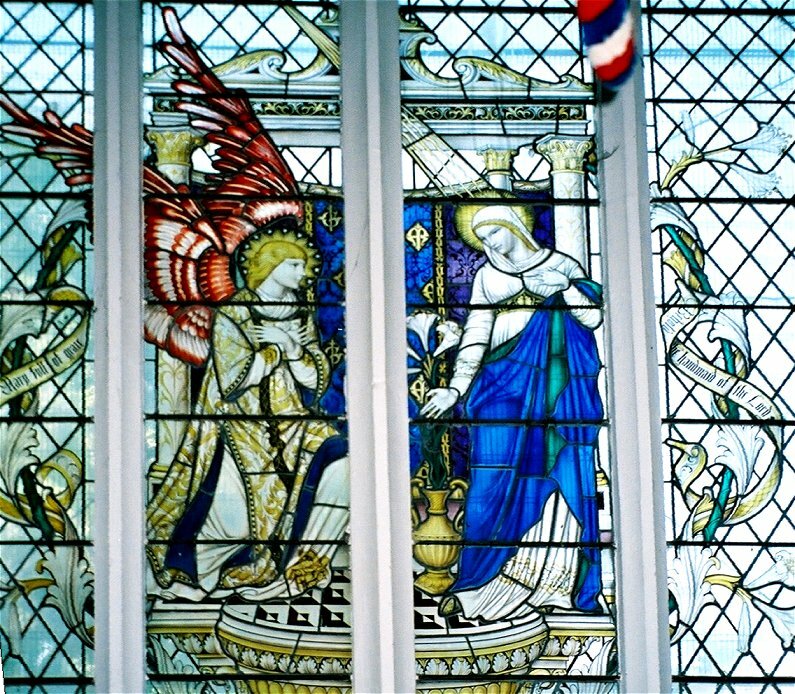 The glass in the west window is superb; it is an Annunciation, by Christopher Webb. Indeed, much of the glass is good, and there are also some fascinating paintings in the south aisle. Mortlock tells us that the painting of the Virgin and child with St Elizabeth and St John the Baptist is by Giovanni Caracciolo, an early 17th century follower of Caravaggio. It certainly looks very like Caravaggios work. 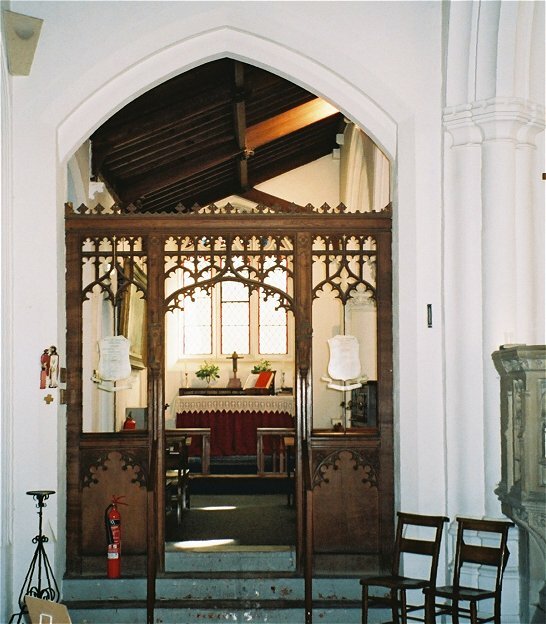 The ironwork and screen speak of the final couple of decades of the 19th century, and this church must have been pretty much the same throughout the 20th century. The south aisle was where the memorials were moved when the north aisle was built, and one of them repays patient translation of the Latin (or, indeed, a reading of the version in English underneath). 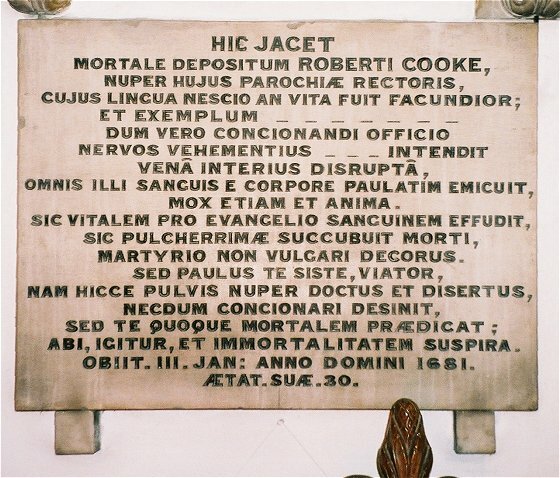 It recalls Robert Cook, who was a puritan Rector here in the 17th century; he died while preaching in the pulpit. A warning to evangelicals everywhere, as I observed to the current Rector. Another memorial in the porch is fascinating. It has only recently been restored, having become so filthy with a century or more of coal smoke that it was no longer legible. Mortlock didnt notice it. 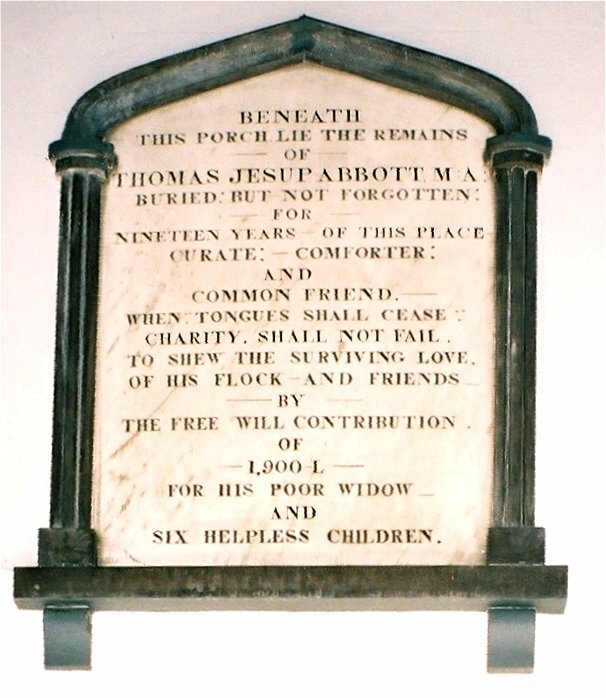 It reads Beneath this porch lie the remains of Thomas Jesup Abbott MA buried but not forgotten: for nineteen years of this place curate, comforter, and common friend. When tongues shall cease, charity shall not fail to show the surviving love of his flock and friends by the free will contribution of 1,900 L for his poor widow and six helpless children. But theres no date. The churchwarden tells me that theyve tried looking for Abbott in the records, but to no avail. It looks19th century, but £1,900 was such an enormous amount of money, even as late as the mid-20th century, that it is hard to work out when it could have been. 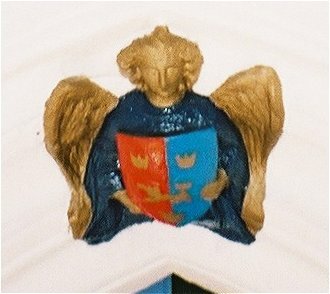 I would be fascinated if anyone has any ideas, and the parish would also be grateful for any information. Finally, this is exactly the kind of church that Cautley was disdainful about, and so nobody comes and takes a look. But, that is his loss. He was wrong. 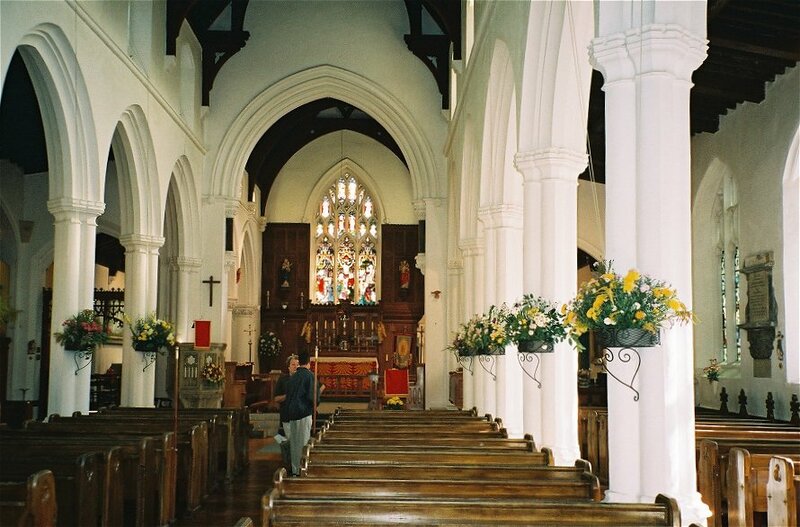 It is a delightful church, full of interest, and beautiful as well. It deserves to be better known.